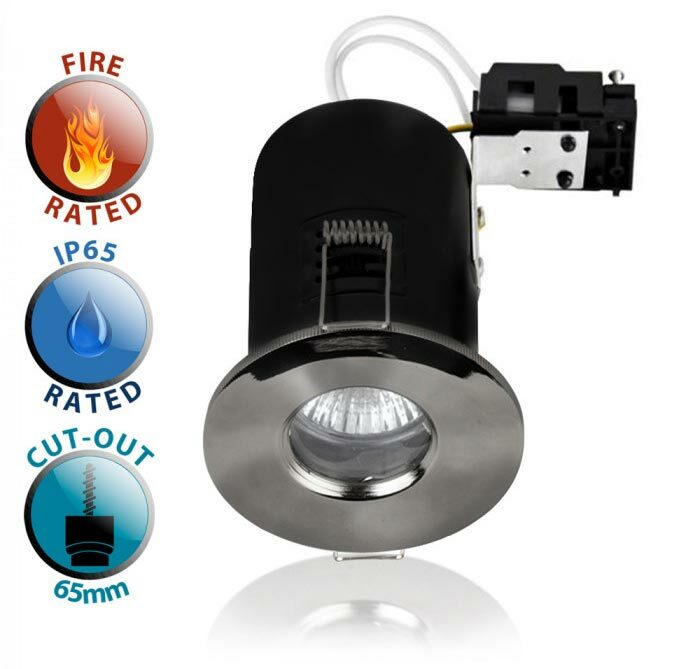 This 90 minute fire rated IP65 bathroom GU10 recessed downlight in black chrome finish is practical, stylish and easy to install. It meets BS requirements for 30, 60 and 90 minute fire rating and is resistant to the passage of sound. Rated IP65, this down light can be fitted in bathroom zones 1 & 2 including above a shower cubicle.